Natty Power Radio is one of the most famous online radio station on USA. They are proud to present to you the first and original 24 Hour Caribbean-programmed radio station in the United States. Not only are we the first 24 hour radio station to air in the United States, They are also the The first 100% Caribbean owned radio station. 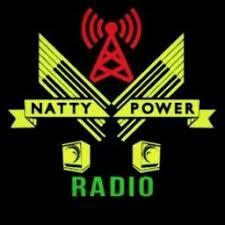 Natty Power Radio are here to please you, our listeners, offering Caribbean programing on the dial. Natty Power Radio has quickly become the heartbeat of the Caribbean-American community getting recognition all over. This Caribbean gem is now a part of the great Alliance Broadcasting Network. Led by their vision to become the first Caribbean-American conglomerate to own and operate radio stations, for and by the Caribbean American people here in the United States. The Alliance Broadcasting Network wishes you a pleasant listening experience whether broadcasting on the airwaves or streaming on the Internet. The Alliance Broadcasting Network thanks you for enjoying the best Caribbean talk and entertainment whether it be on the dial or the internet. Please kick back and listen to our great Caribbean sounds of music and talk of our Caribbean-American community as you enjoy South Florida’s very own Natty Power Radio. The history of Natty Power Radio is as glorious as its future. A group of visionaries came together in January 2016 to broadcast the first 24 hours of Caribbean programming for South Florida to enjoy. However, instead of just South Florida, the world took notice and Natty Power Radio has never looked back. Natty Power Radio continues to ride the wave of growing popularity shared by Reggae music, Soca music, and overall Caribbean culture. In 2016, Natty Power Radio adopted a Caribbean format directed to the large West Indian population of South Florida, which up to that time did not have a major media serving the Caribbean-American community.